I’ve always been obsessed with interiors. So, few years ago when my mom asked me to help her with decorating her small boutique hotel, I was very excited. It was an awesome experience to perfectly decorate each room with details that would refresh and pamper each and every guest. There were some tricks I needed to learn to create beautiful, useful, and homy rooms. And, that’s when I learned the importance of lighting. Lighting and mood is everything. Lighting creates atmosphere, drama and intrigue in a room. Each room should have the right lighting to get the right mood for each occasion. Now, that I’m in the process of redecorating my home I want to fill it with things I love and look good. As you may know everyone needs a little design inspo now and them (or all the time). And, when it comes to lighting, my favorite design inspo is Lamps Plus. Lamps Plus is one of the largest lighting retailers founded in 1976. I love browsing at their website www.lampsplus.com for their room ideas photo gallery for a variety of interior design styles and suggestions on how to coordinate a new lamp with each look. They carry a wide selection of high-end brands and great value. Also, they carry alongside thousands of exclusive and patented designs in lighting, home furnishing and decor. 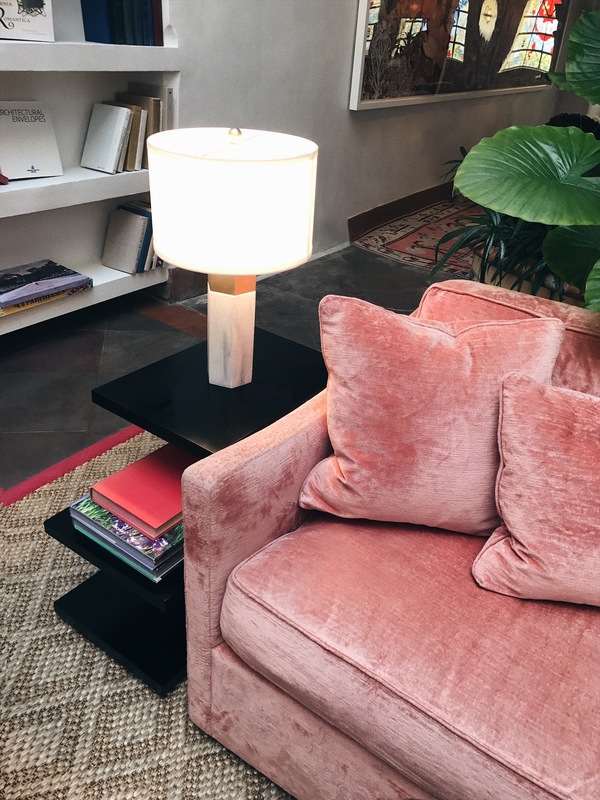 Now, that table lamps are cooler than ever before, I decided to create a cozy and contemporary space with this Possini Euro Leala Faux Marble Table Lamp. The Leala faux marble table lamp is a high-style look with a hexangonal base design. Two tone base features a faux marble finish bottom. At the top of the base, a gold finish accent adds a touch of glamour. I just can’t get enough! 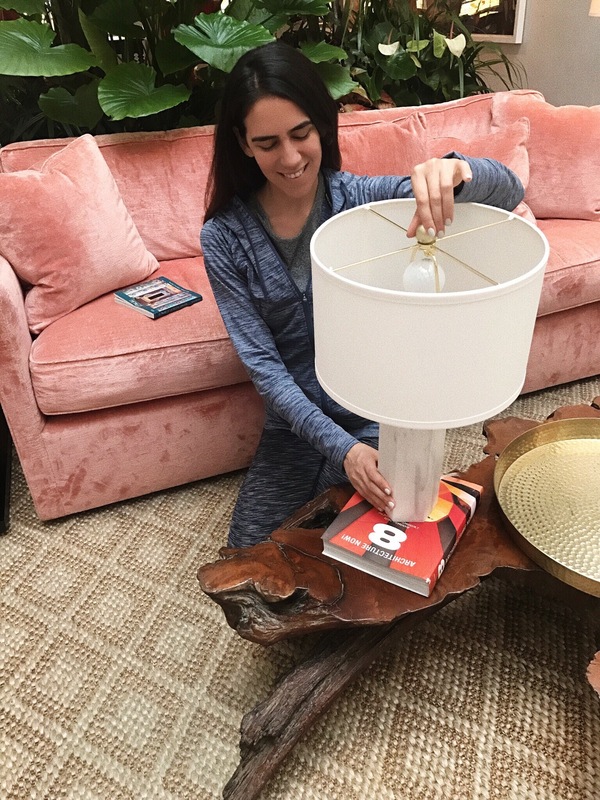 Be sure to follow @LampsPlus on Instagram for daily inspiration and they’re giving away $200 worth of decorative table lamps through their Instagram page. I will be announcing the giveaway on my Instagram feed on Dec 6th and all you have to do is follow Lamps Plus + tag a friend on the same photo posted by Lamps Plus to be entered to win. Love the style of this lamp!! Totally fits with the interior of my place!! They have the best selection! We’ve always gotten great deals too! That pink couch is everything! Such a pretty lamp too. Thank you for introducing me to Lamps Plus. I think to have the perfect light in a room is so important. Right now I am looking for lamps for my room and this sounds like the perfect option. I will be checking Lamps Plus website soon! Ouuu, I so love! The marble base is a gorgeous detail. Great work with the decor! 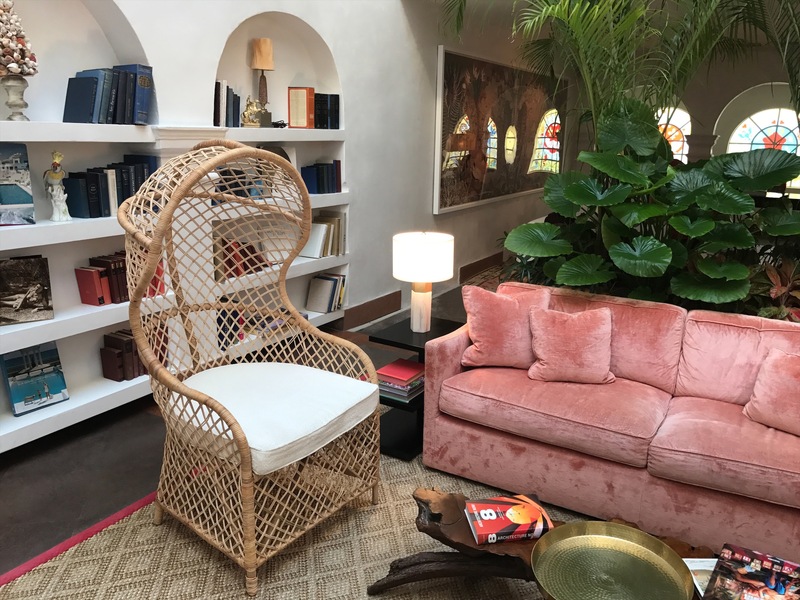 Love the pink couch and the lamp is such a nice touch! I love the theme of your home. Looks very warm and relaxing.